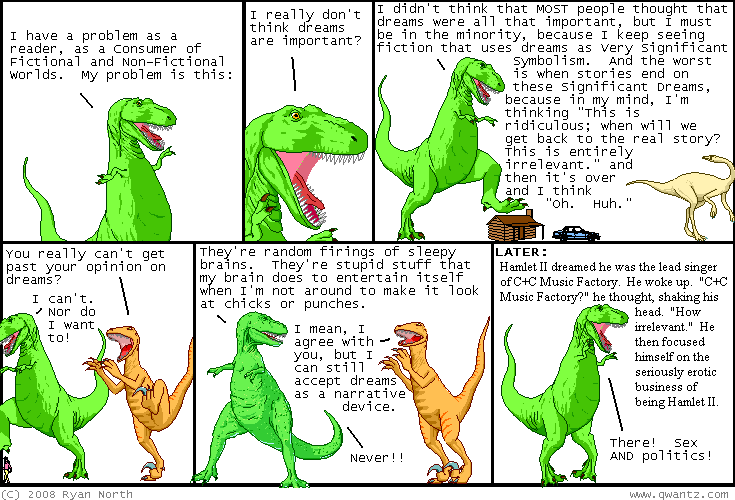 Dinosaur Comics - May 12th, 2008 - awesome fun times! –Sorry! I'm not trying to yuck your yum here! May 12th, 2008: I really like A Softer World's GTA IV comic. Hover your mouse over the comic when you're done reading! Hey, who has new shirts? Katie! Matt! David! Katie in particular has somehow looked deep into my soul and produced the only shirt I want to wear for the rest of my life. THANKS, KATIE!